Good question, Billy! You see, since the ancient times of Roman Caesars…and the Fonz…humans have needed to visualize binary data. Many, many situations in life are binary. On/Off. Up/Down. Good/Bad. Black/White. Online/Offline. Working/Broken. iPad/Flash. Cool/Not cool. Let-live/Lion-food. You get the picture. And people do this every so simply (and coolly) by showing thumbs-up or thumbs-down. 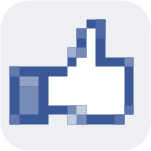 Today, the most recognizable icon of this expression has to be facebook’s “like” icon. 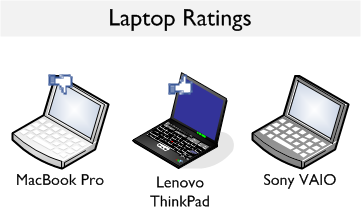 I thought the thumb would be a fun and useful Data Graphic for users of Visio 2007 Professional, Visio 2010 Professional, or Visio 2010 Premium. Users of those products have the Data Graphics feature available to them, which allows quick application of visual effects to the information stored in data-connected shapes and diagrams. 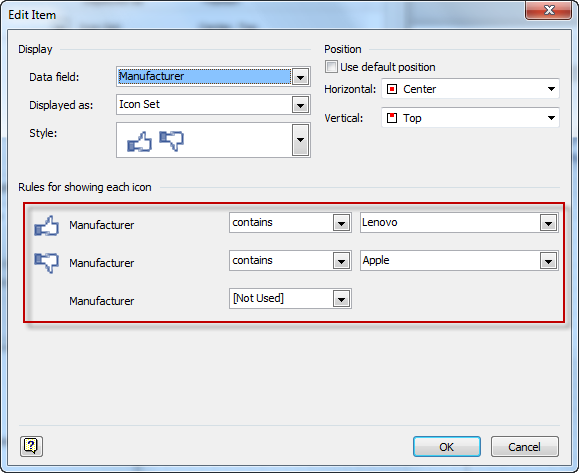 So I built a Visio SmartShape that has three states: Thumbs Up, Thumbs Down and Off or invisible. I modified this into a Data Graphics Icon Set so that you can add to your own Data Graphics and use it to highlight important data in your Visio diagrams. You don’t have to use all three states, but sometimes it reduces clutter and makes visuals more noticeable if the mundane cases don’t show anything. or Select Shapes that use this Graphic. I won’t go into to all the details on how to incorporate this Icon Set in your Data Graphics, but I’ll say a few words, and point out a few settings. 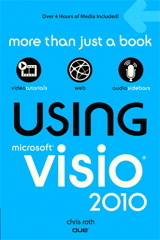 There are plenty of online sources of information and a I go over creating Data Graphics in my Book as well. 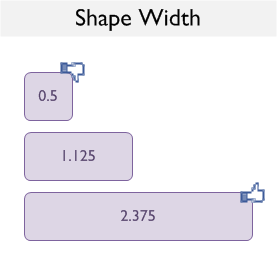 These are numeric ranges, since Width is a numeric values. I actually typed in 1.25 in, 0.75 in, etc. 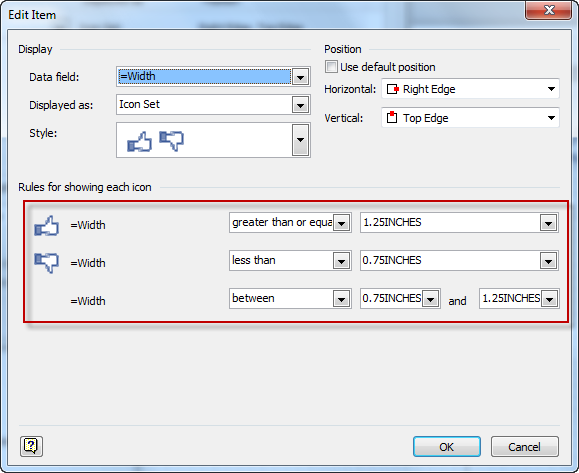 Visio changed it to INCHES afterwards, oddly. No worries, you don’t have to type INCHES or MILLIMETERS or PICOTS, you can use common unit abbreviations. 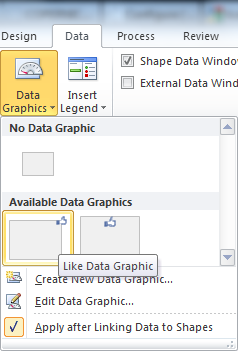 Well that’s a brief overview of the ‘Like’ Data Graphic Icon Set. I hope you find it amusing, contemporary and, above all, useful! Previous Post: « Easy Music Note Paper with the Smart Staff Shape! Why is the icon so chunky? I wanted to recreate the icon-look. There are many styles and fashions these days. When I searched for “facebook like icon”, the results contained many smoothed-out, full-fidelity illustrations which I thought looked rather cheesy. So I went with Icon this season. Visio *does* seem to do some dithering and smoothing anyway, which I don’t really like in this case.